What a phenomenal day for our opening night at Cedar Green. It was great to see so many ladies participate in our first Monday Ladies League Golf Day this season. We had wonderful weather and great turnout for our opening evening. We had a total of 121 participants, of which 21 were new golfers to our Cedar Green Ladies Golf Day. To help kick off the official opening day, our major sponsor Sam Yawney, the owner Pro Golf Liquidators donated a Taylor Made Kalea Ladies golf bag (valued at $200) as the grand prize. For the past 6 years Sam has donated prizes every Monday Ladies Golf Night and has expressed his sincere gratitude for the support lady golfers in our community have shown, by joining us on so many Mondays. For our opening evening, Keandra (beverage manager) offered a drink special. Crazy Uncle Coffee coolers are being sold at the discounted price of $5. Free tasting samples were also promoted on the course and resulted in additional sales in the clubhouse after our game. This year we have two new volunteers working with me, Linda Collison with the goal of achieving another great season. Our committee members are Linda Collison, Karen Hnatuk and Freida Nassas. Once again, Linda is responsible for keeping attendance records, and writing our weekly newsletter which she emails to the ladies who are on her distribution list. If you would like a copy of the newsletter emailed directly to you, please provide your current email address on the sheet that is circulated in the clubhouse each week. 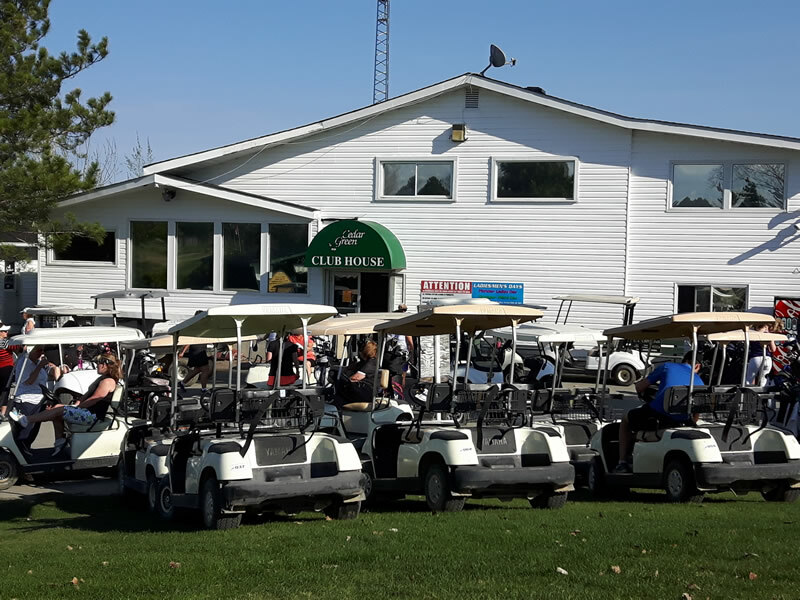 Otherwise you can read the weekly newsletter posted on the Cedar Green website, found at the following link: https://golfsudbury.com/news/monday-ladies-golf-day/ or hard copy will be posted every week on our bulletin board in the Ladies Locker. This season, because our newly formed committee has a few rookies and due to feedback from last season’s golfers we have decided to only have 3 different formats of play which we will alternate weekly. Those formats will include play your own game (occasionally with free lift from water), 2 person scramble, and team shamble (using the best team drive then play your own game). This should result in fast play and less confusion for the golfers. Make sure to check our schedule posted in the clubhouse bulletin board or on the Golf Sudbury website https://golfsudbury.com/news/monday-ladies-golf-day/. Another change this season will be the week day that we will host our wrap-up Night. As you may well know, as the sun set so early in September, many working ladies cannot play golf on our final evening due to the earlier shotgun start of 5 pm. Therefore Sam has agreed to open the course for a Saturday afternoon 3pm shotgun start on September 29th which will accommodate more golfers and dinner will be served at an earlier time. Remember golfers who participate in 12 Monday Ladies’ Golf games between May 14th and September 24th, will qualify for the bonus draws when they attend our Wrap-up evening on Saturday, September 29th. Last season prizes were provided by over 57 businesses in the Sudbury and Algoma region, some valued over $250. This year Sam Yawney is donating a special bonus prize of a complete Ladies golf package for our Wrap up Evening. If you were unable to book your starting hole on the Sign-up Sheet on Monday May 14th, you can call the pro shop at 705-560-1090, and the staff will assign a starting hole for next Monday Cedar Green Ladies Golf Night. 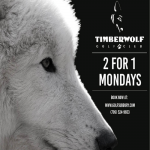 Next week on Monday May 21st, we will be playing a 2 person scramble format at the 6pm shotgun start. The following instructions should be reviewed by all teams prior to your game. These instructions will also be posted in the pro shop. Since Kim Glibbery and Karen Raguin were not present at the clubhouse to receive their $36 prize vouchers they can pick them up from Karen Hnatuk at the Toonie Pot table next week or any following Monday. Golfers who joined us after 6:00 pm game, names drawn for gifts donated by our sponsors. The Cedar Green Ladies Golf Committee Linda, Karen and Freida thank you all for making our Monday Ladies Golf Night a very successful event. We would also like to thank Keandra Beauvais (bar manager) and her staff for having a well-stocked bar for our opening night and to Kyle Lekun and the pro shop staff for processing so many ladies in such a short period of time then to Mel McLeod for getting the ladies out to their starting hole in time for the 6 pm shotgun start.